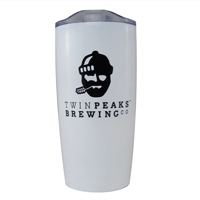 TWIN PEAKS 20oz Double Wall Vacuum Tumbler. 18/8 stainless construction with a copper lining. Double Wall construction allows you to enjoy your hot or cold beverage for up to 6 hours. Thumb-slide, spill resistant lid, with rubber gasket. 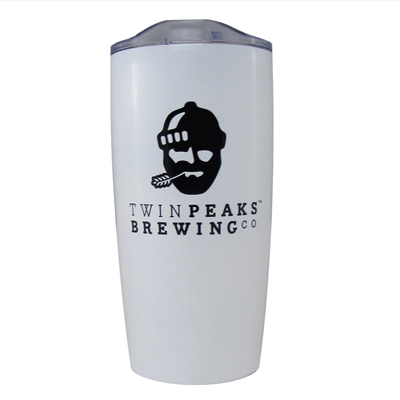 Capacity is 18oz with lid on. Hand wash recommended.